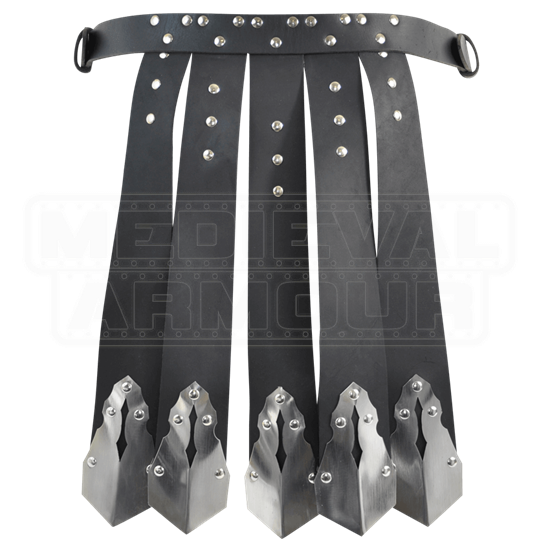 This Conquerors Skirt is a great accessory to include with your armored look, as it not only adds a touch of imposing warrior style to any suit of armor, but also features an almost Roman look that makes any warrior that much more impressive. In spite of its name, this piece of armor is really more of a decorative tasset belt than a skirt, although it qualifies as both in one way or another. It consists of a dual-buckled belt that fits around the waist and secures several hanging leather strips. Each of these leather strips feature a trio of riveted decorations, as well as a 18 gauge stainless steel plate, which are affixed via rivets to the bottom of the leather tasset straps. Three of these tasset straps hang down in the front, while five of the straps hang down in the back. Each size featuring dual buckles on the sides of the belt, making it quite adjustable. This belt is also made from 9/10 oz. buffalo leather. 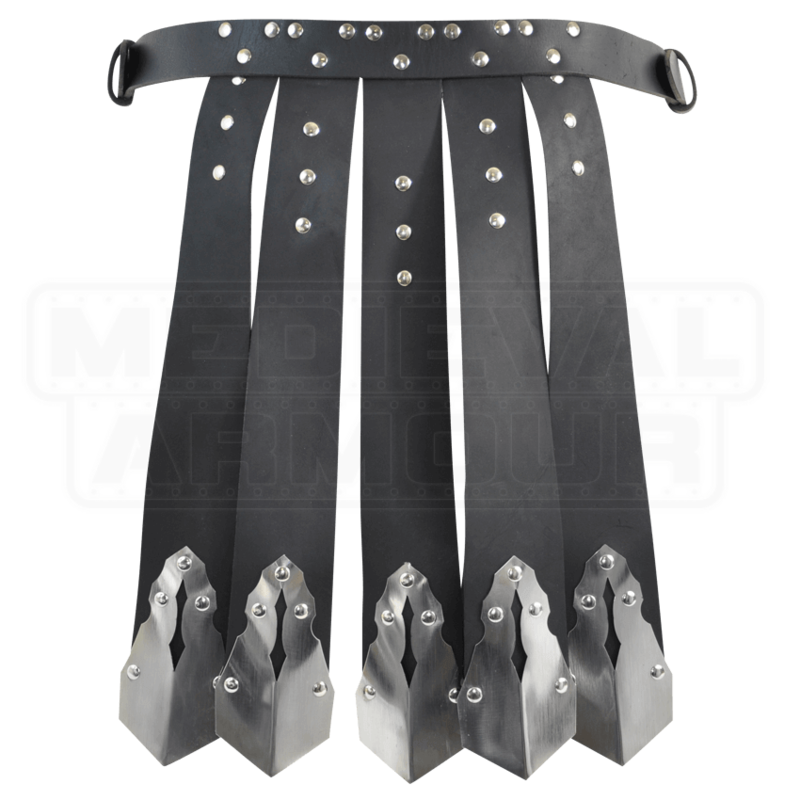 Of course, it goes without saying that this belt looks great with our Conquerors armor pieces, although like any good piece of armor, this Conquerors Skirt is also a great piece to mix and match with your own armors to create a look that suits your tastes and your needs, too.